The Kelly 24-inch x 32-inch Mirror features reflect the same commitment to elegant design as the Kelly Collection vanities and linen tower. Finished in a versatile Greyish Blue hue that complements both antique and contemporary bathroom styles. This versatile mirror hangs vertically and features a beveled edge. This mirror is a beautifully matched design that brings out the uniqueness of the angled vanity. Its wide espresso wood finish brings out the elegant lines of the vanity. Mirror comes with high quality 0.8-inch thick mirror and waterproof wood finish. Dimensions: 23.8-inch W x 2.8-inch D x 25.5-inch H.
This mirror is a beautifully matched design that brings out the uniqueness of the angled vanity. Its wide espresso wood finish brings out the elegant lines of the vanity. Mirror comes with high quality 0.8-inch thick mirror and waterproof wood finish. 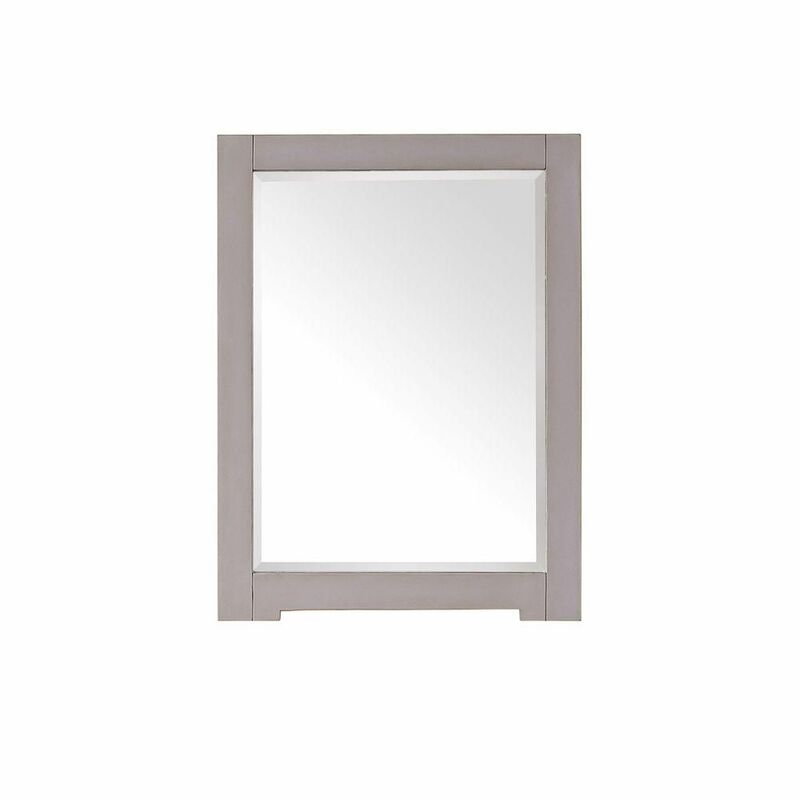 Dimensions: 30-inch W x 0.8-inch D x 25.8-inch H.
Kelly 32-inch L x 24-inch W Framed Wall Mirror in Greyish Blue The Kelly 24-inch x 32-inch Mirror features reflect the same commitment to elegant design as the Kelly Collection vanities and linen tower. Finished in a versatile Greyish Blue hue that complements both antique and contemporary bathroom styles. This versatile mirror hangs vertically and features a beveled edge.